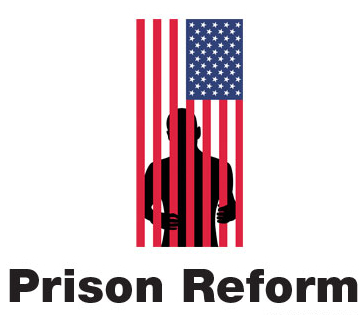 A growing collection of various websites and articles that address Prison Torture here in the United States of America and around the world. StopMax attempts to close down supermax solitary prisons Long-term isolation has no rehabilitative benefit, but its destructive psychological effects are well-documented—amounting to torture under international law. Solitary confinement violates the U.N. Convention Against Torture, the Convention on the Elimination of All Forms of Racial Discrimination, and the U.N. International Convention on Civil and Political Rights. AFSC works to end the practice of solitary confinement in prisons, jails, and detention centers across the country. Harvard Civil Rights: Civil Liberties Law Review Harvard PLAP Panel on Solitary Confinement held on Monday, February 25th, 2013, the Harvard Prison Legal Assistance Project (PLAP), along with several co-sponsors, hosted a panel on Solitary Confinement. HLS students and PLAP Policy Coordinators Jeanne Segil ’14 and Sia Henry ’14 put the event together, assembling a panel of experts that encompassed several sides of the issue. The National Religious Campaign Against Torture and www.nrcat.org In response to the release of the Abu Ghraib photos, Dr. George Hunsinger, professor at Princeton Theological Seminary, convened a conference of American faith leaders to examine how religious communities could respond to the U.S. military’s use of torture against 9/11 detainees. One hundred and fifty leaders of the nation’s diverse faiths gathered in Princeton in January 2006 to discuss this critical issue. The National Religious Campaign Against Torture (NRCAT) was launched during the conference with the mission of mobilizing people of faith to end torture in U.S. policy, practice and culture. The National Summit Against Torture On September 11-12, 2008, Evangelicals for Human Rights, with the National Religious Campaign Against Torture and Mercer University, will host a national summit on torture in Atlanta, GA, on the campus of Mercer University. Featuring some of the nation’s top thinkers and leaders in the anti-torture community, this conference is co-sponsored by an unprecedented group of organizations. A BBC documentary on USA prison torture A documentary by Channel 4 in the UK, an often shocking look into the extent of torture and what would be called “almost” torture in the US prison system. The documentary makes a compelling comparison to George Bush’s outrage at torture of Iraqi detainees in Abu Ghraib and what many would claim is the daily torture that occurs in American prisons to US citizens. Watch Video of an Official Maine Department of Corrections video shows a Swat Team cutting the clothes off a prisoner, carrying him naked and screaming down a hall, strapping him in a restraint chair and Macing him in the fact. Hellhole, The United States holds tens of thousands of inmates in long-term solitary confinement. Is this torture? A recent article in the New Yorker shows mental torture of perhaps more than 50,000 people. man beings are social creatures. We are social not just in the trivial sense that we like company, and not just in the obvious sense that we each depend on others. We are social in a more elemental way: simply to exist as a normal human being requires interaction with other people. Read Lance Tapleys talk to the National Lawyers Guild about torture in solitary confinement on KatrinasDream.org.